The funding came from investors led by Japanese company Showcase Capital. Digicro, which stands for digital microfinance, was founded by Yuta Nagano in 2018. The capital will help boost its micro loan service in the country through its subsidiary Spean Luy. Faizal Martinus, head of IT at Spean Luy, says it uses “smart technology to gather information from our customers [that] helps them get a loan as fast as possible, while screening them to get the most credible customers”. 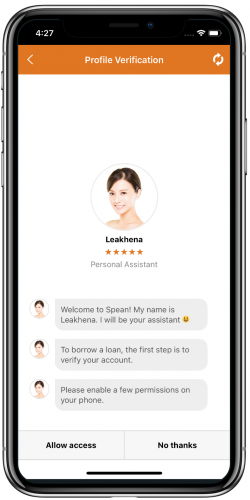 Spean Luy recently developed a mobile app Spean Loan to provide micro loans using machine learning. This builds a credit scoring system and then evaluates users’ ability to repay. The company says it enables borrowers to apply for a small loan in ten minutes ranging from $50 up to $1,000 without paperwork or an office visit. Currently it is available in iOS and Android, and the company is waiting to get a business licence to operate a loan service. It expects to be approved this month.